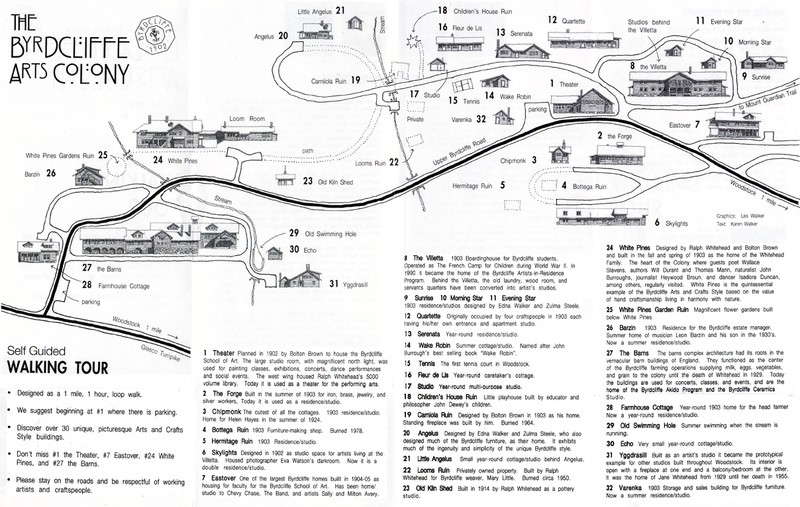 The Woodstock Byrdcliffe Guild is a 501(c)(3) nonprofit organization. We are listed on GuideStar as “Woodstock Guild of Craftsmen, Inc.” with tax id: 14-6026681. The Woodstock Byrdcliffe Guild is grateful to many organizations and individuals for their support: click here for a list! 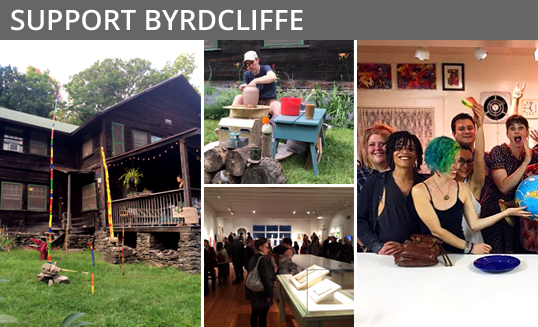 You can easily become a member of Byrdcliffe. Join online (see membership levels and benefits below)! Or you may print out the membership form and mail it to us today. You may also call us at 845.679.2079 for payment with a credit card. We accept Visa, MasterCard, Discover and American Express. Checks and money orders are accepted as well. And, you can also become a member by stopping by the Byrdcliffe Shop or our Administrative Office at 34 Tinker Street in Woodstock. Please be advised that membership payments are non-refundable. -Member artists receive a listing of their bio, image, and website link on our website. -Admission and tuition discounts to concerts, classes, and workshops (excludes Winter Solstice Concert). $135 Dual/ Family: Same benefits as Individual, now for two adults and children under 12, plus 10% discount on family activities and hiking. $250 Supporter: Same benefits as Dual/Family plus discount on special events (excludes Gala, Winter Solstice Concert, and 5 by 7 show). $500 Angel: Same benefits as Supporter plus Byrdcliffe Catalogue. $1,000 Patron: Same benefits as Angel plus small limited edition Byrdcliffe vase and $100 worth of event tickets. $10,000 Whitehead Circle: Same benefits as Byrdcliffe Circle plus $1,000 worth of event tickets. Student – $35 per year; includes all Basic Member benefits for students currently enrolled in an accredited college (valid student ID required for proof of status). If you want to sign up as a Student member, please mail us a copy of your student ID, our membership form and send it together with a check for $35 (made out to “Woodstock Byrdcliffe Guild”) to 34 Tinker Street, Woodstock, NY 12498. $250 Morning Star: Sponsor one event of your choosing – includes name on promotional materials for one event and listing on our website. $500 Echo: Sponsor two events of your choosing – includes name on promotional materials for two events and listing on our website. $1,000 Serenata: Your logo on our website with a link to your site and promotional materials at all fundraising events. $1,500 Sunrise: Your logo on our website with a link to your site and promotional materials at all fundraising events plus $150 worth of fundraising event tickets (excludes 5 by 7 Show). $2,000 Eastover: Your logo on our website with a link to your site and promotional materials at all fundraising events plus $200 worth of fundraising event tickets (excludes 5 by 7 Show). $5,000 Villetta: Your logo on our website with a link to your site and promotional materials at all fundraising events plus $500 worth of fundraising event tickets (excludes 5 by 7 Show), listing on Donor Wall at Kleinert/James Center for the Arts, and discount on barn rental. $10,000 White Pines: Your logo on our website with a link to your site and promotional materials at all fundraising events plus $1,000 worth of fundraising event tickets (excludes 5 by 7 Show), listing on Donor Wall at Kleinert/James Center for the Arts, and discount on barn rental.